If the quality of a vocal group was judged by the number of records released, then the Admirations would have been judged unfairly. 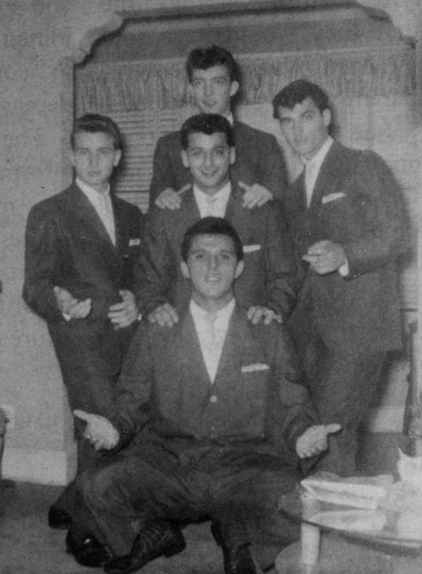 One of the best late-'50s white doo wop groups, the Admirations were also one of the few such acts with only two records on a major label. 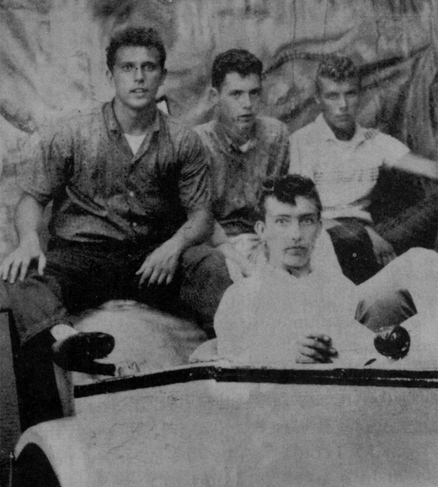 The quintet would have been better off with one of New York's rock and roll independents,who were used to breaking records like theirs, but in 1958, 15-year-old high school students couldn't possibly forsee such things. The group members were all friends from the same neighborhood in brooklyn, growing up around Elderts Lane and Liberty Avenue. 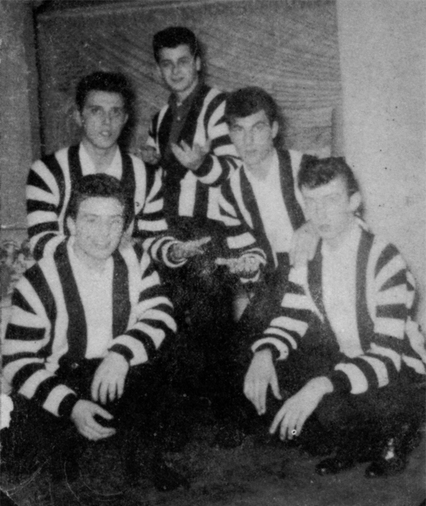 They consisted of lead Joe (Cookie) Lorello, Fred Mastanduno (First Tenor), John Mahlan (Second Tenor), Ralph Minichino (Baritone), and Lou Moshella (Bass). They practiced in hallways, on street corners, and at the neighborhood candy store and locked their eyes on a large advertisement for admiration cigar. At that moment the Admirations were born. They began doing dances and record hops. performing songs by their favorite groups like The Flamingos and Belmonts. 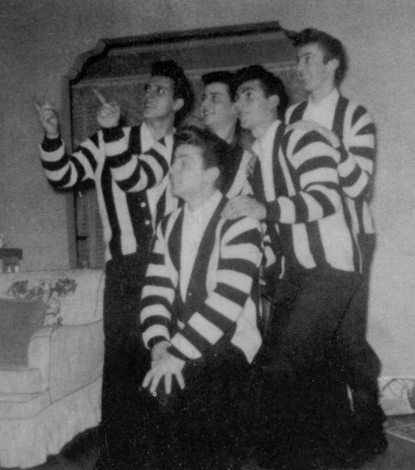 In the fall of 1958, an A&R assistant to Mercury's Clyde Otis named Jerry Maggat saw the group perform and brought them to Otis, who signed them up. Although their first recording was done in February 1959, for some inexplicable reason "Bells of Rosa Rita" was not released by Mercury until November of that year. It became one of those classic East-Coast doo wop records that seemed more popular as an "oldie" than it was at the time of its ill-fated initial release. 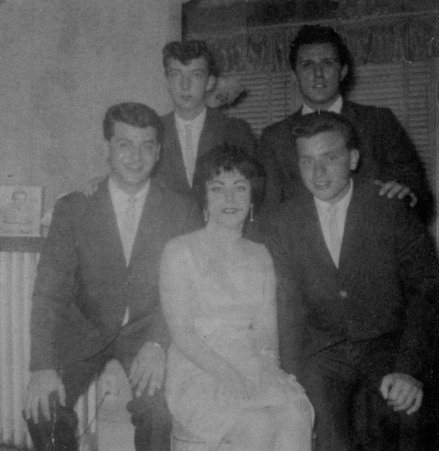 With Mercury's interest on the wane after just one record, the group decided to disband, but in 1960 they reformed with Joe Mertens and Diane Salemme (Joe's wife) replacing John Mahlam (In the Army) and Ralph Minichino. 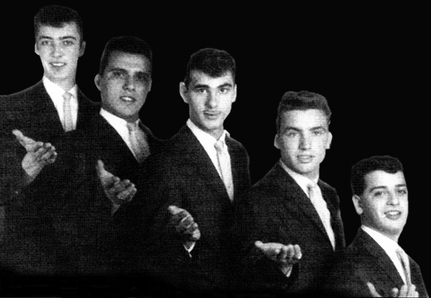 By the summer of 1960, the group got an opportunity and cut four more sides for Mercury, two of which were never released and two ("To the Aisle" and "Hey Senorita") that weren't issued until 1961.Though their record releases were few, the Admirations' powerful five-part chime harmony on "Bells of Rosa Rita" have endeared them to vocal group enthusiasts for almost 30 years. Disappointed with Mercury's disinterest, the group disbanded for a second time later thant year as John became a police officer, Joe and Fred joined the sanitation department, and lou joined a construction company. In 1974, the group was resurrected for a third time doing various revival appearances in the New York city Aera.